The place for the palate perfectionist. We talk about the finest wines, the best food, and everything in-between. We're also not above doing a wine or restaurant review either! Find out the best pairings for Wine and cigars, including what to serve with specific meals, cheese pairings, and even which chocolate tastes best with a fine glass of Brandy. Don't forget about those tasty braai tips & tricks! Oh yeah, for the raw apple press I was thinking of adding raw honey post fermentation to sweeten, trying to keep it very natural. 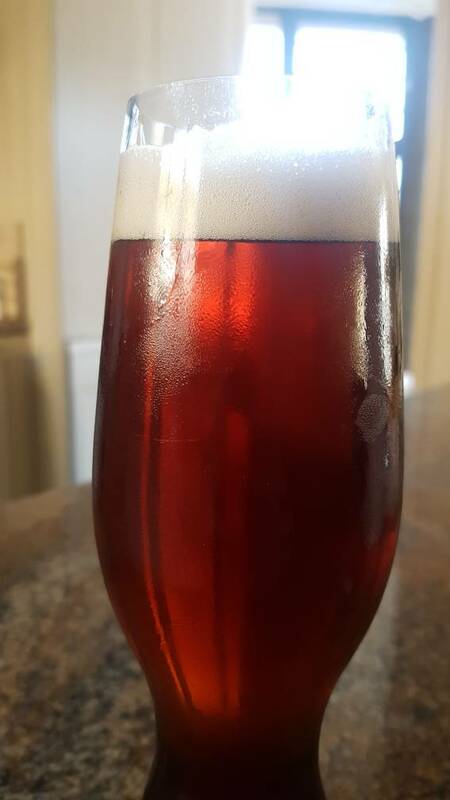 The liquifruit cider I made is awesome, very clear with a nice red color and great taste - there was no need to backsweeten, but my interest in cider has dropped quite a bit and the keg is still pretty full too. This stuff is a beastie of a yeasty ! Super aggressive at high temperatures whilst not throwing phenols or off flavors throughout the 18C-41C(!?!) temp range, it does produce a pleasant citrus-like ester, which complimented the hop profiles. I had to turn up the fermentation temperature (in summer) to the max setting on my little heater to 34C. The beer finished fermentation in 2 days, but I left it for another day to 'clean'. I couldn't perform a diacetyl rest, thanks little heater, but at these temperatures I wonder if the need didn't fall away. This yeast breaks all the 'rules' so far, what's another one? I can now produce a beer from grains to keg (including cold crash) in 5 days, using commercial yeast this would typically be a 12 day process. I made a yeast starter in my 2L Erlenmeyer on the stir plate, but it chewed through my hydrated malt extract in a few hours which is insane compared to commercial yeasts. I've ordered a 2L separatory funnel with bosshead, stand etc to make washing and storing easier. I most certainly want to keep this yeast in my arsenal. Looking back at my first post back in October, I have learnt a whole bunch and am still enjoying the learning process even more. Reading through your posts, I'm still trying understand what dry-hopping is and don't get me started on "isomerization of alpha acids". I have upgraded my brew unit to be *bluetooth enabled, this allows me to not only control and monitor the mash and boil processes, but also enable a delayed start (so that my water can hit strike temp when I wake up) and also the ability to import my recipes directly onto the unit. I also built a **temperature controlled fermentation chamber that allows me to precisely control the temperature that I ferment at, so now I can properly lager (long process at low temp), do a diacetyl rest (short temp ramp up to rid diacetyl from beer) and cold crash ( short temp drop to allow yeast to flocculate) in the same chamber. Furthermore, my separatory funnel finally arrived (thanks festive shipping delays) which will allow me to easily separate the trub from the yeast, in order to reuse a specific strain. I store these in a solution topped up with glycerin immersed in an alcohol bath in the fridge. **323l fridge only, with a stc-1000 microcontroller wired to a heatsource and the fridge supply that allows profiles for desired temp, 0.n C variance before heating/cooling, max delay on compressor rest and a temp correction feature. i should definitely give this a try! My latest creation, California common aka steam beer. Single hop (Northern Brewer) , malt forward (Maris Otter, Crystal 60L and chocolate malt) warm largered for ester production with saflager 34/70 propagated on the stir plate with dry malt extract. Fined for clarity.